Manatees, also known as "sea cows", are easily among the chillest animals on the planet, enjoying nothing more than grazing on seagrass and basking in the warm waters of quiet canals and waterways. But evidently, not everyone got the message about just how peace-loving these creatures really are. 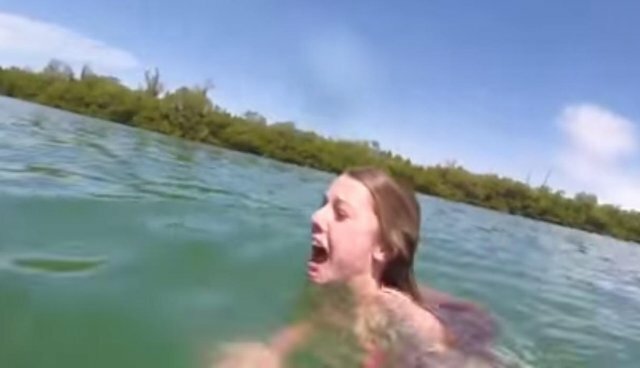 While out on the water in Florida recently, a selfie stick-wielding spring-breaker had a chance encounter with one such gentle manatee - and well, she kinda freaked out about it. Judging from the reaction of her friends on a boat nearby, that might come as news to them as well. Screaming and shouting aside, the young swimmer exercised good judgment by avoiding contact with the curious creature floating nearby. Human activities, like boat collisions, are among the biggest threats facing these animals, so the spring breaker's restraint wasn't only a good call, it was following the law. 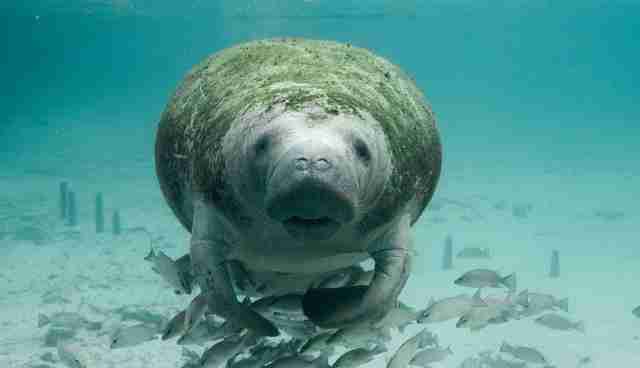 Under the Endangered Species Act, it is illegal to " annoy, molest, harass, or disturb any manatee." Fortunately for these lovable animals, that's something some folks needn't be told twice.